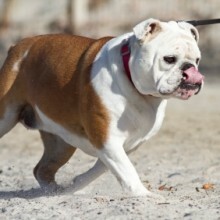 The Bulldog is seen by some as the national dog. 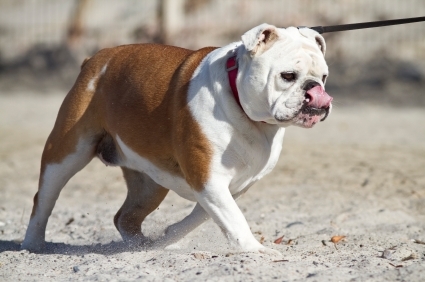 The modern Bulldog bears little resemblance to the bull-bating dog of previous centuries. Encouraged by the show ring breed standard, he has become shorter legged, wider chested and extremely short faced. His temperament varies. His exercise needs also vary depending on his ability to breathe and regulate his body temperature. It is advisable to choose a Bulldog puppy from parents of a less extreme type. Average lifespan 6 years. Dystocia due to a mismatch in size between the mother’s pelvis (too small) and the puppy’s head (too big). Many Bulldog puppies are born by caesarean section. Excessive wrinkling of the facial skin can lead to infection if not cleaned regularly. His jaw structure gives the Bulldog abnormal teeth. 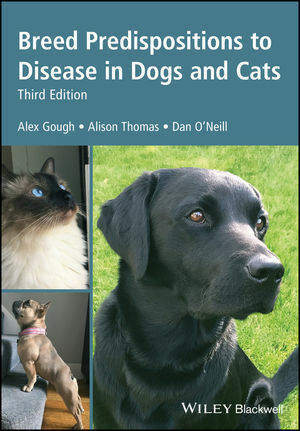 Brachycephalic obstructive airway syndrome (BOAS): his extremely short nose and narrow nostrils lead to breathing problems, panting, chronic discomfort, exercise intolerance and difficulty eating. Sensitivity to heat due ro pinched nasal passages and abnormally narrow trachea. Brachycephalic ocular syndrome linked to shortenend nose and head shape. Hemivertebrae – associated with selection for curly tail. Note that efforts are now being made by the Bulldog Breed Council to breed away from these extremes. Hip dysplasia: breed mean score 27.9 (severe) parents should be much lower. The Bulldog is one of the 15 high profile breeds designated by the Kennel Club as requiring particular monitoring by reason of visible conditions which may cause health and welfare problems. 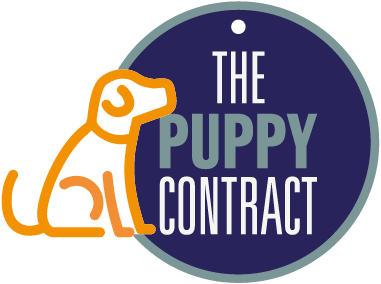 Breed Council certificate for breeding.